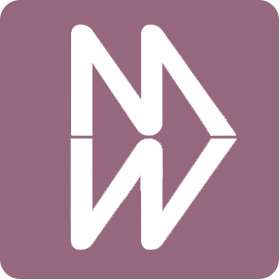 February 16, 2017, WASHINGTON, D.C. – The Alliance for Women in Media and its Foundation (AWM/F) are proud to announce its 2017 National Boards of Directors. Sarah Foss, Chief Product Officer, Advertising Management Systems, Imagine Communications, NY, N.Y., will serve as Chairperson for both organizations. The 2017 Boards of Directors convened on February 10 in Washington, D.C., followed by several days of judging for the 42nd Annual Gracie Awards. Top executives representing every sector of media, including many board members, reviewed the record-tying number of Gracies entries during the in-person judging phase at Discovery Communications Headquarters in Silver Spring, Maryland. Chairperson‐Elect of AWM/F is Christine Travaglini, President, Christal Radio/KRG Partnerships, NY, N.Y. The Treasurer of AWM/F is Keisha Sutton-James, Vice President, Inner City Broadcasting Corp., NY, N.Y.; and Past Chairperson of AWM/F is Kristen Welch, former SVP of Global Content Operations at Discovery Communications, Washington, D.C. The following individuals will serve as Directors at Large of AWM: Karla Ballard Williams, Founder, YING, Los Angeles, Calif.; Christina Barlowe, Principal Adviser / Media and Entertainment, Next Media Partners, NY, N.Y.; Heather Cohen, Executive Vice President, The Weiss Agency, NY, N.Y.; Kelly DeLace Perdomo, Vice President, Content, Sports, Entertainment, and Partnership Marketing, SiriusXM, NY, N.Y.; Susie Hedrick, VP, Radio Sales, Wide Orbit, Inc., San Francisco, Calif.; Jinny Laderer, President, vCreative, Babson Park, Fla.; Meg LaVigne, President of Television, Litton Entertainment, Charleston, S.C.; Laura Martinez, Senior Director, Affiliate Sales, Cumulus/Westwood One, Washington, D.C.; Josie Thomas, Executive Vice President, Chief Diversity and Inclusion Officer, CBS Corporation, NY, N.Y.; Gayle Trotter, President, American Women’s Alliance, Washington, D.C.; and Alison Rudnick, Vice President, Communications, HLN, NY, N.Y. The following individuals will serve as Directors at Large of AWMF: Karla Ballard Williams, Founder, YING, Los Angeles, Calif.; Valerie Blackburn, Project Manager, CBS Radio, NY, N.Y.; Heather Cohen, Executive Vice President, The Weiss Agency, NY, N.Y.; Anne Cowan, Senior Vice President, Communications & Marketing, CTAM, Washington, D.C.; Annie Howell, Co-Founder and Managing Partner, The Punch Point Group, Washington, D.C.; Christine McLaughlin, Of Counsel, Sciarrino & Shubert, PLLC, Washington, D.C.; Deborah Parenti, Publisher, RadioInk, Boynton Beach, Fla.; and Rob Stoddard, SVP Program Network Policy, NCTA – The Internet & Television Association, Washington, D.C.
Three Board members will continue as chairs of the Gracie Awards Gala, June 6, 2017 at the Beverly Wilshire in Beverly Hills, Calif. and the Gracie Awards Luncheon, June 27, 2017 at Cipriani 42nd Street in NY, N.Y. Gracies Chairs for 2017 are Karla Ballard Williams, Heather Cohen and Annie Howell. They will advise on production, talent and logistics as well as guide the selection of the very best programming and individual achievement to celebrate at the Gala and Luncheon. About the Alliance for Women in Media Foundation: The Alliance for Women in Media supports and promotes educational programs, charitable activities and scholarships to benefit women in media The Alliance for Women in Media Foundation has created partnerships and joint‐initiatives with the Emma Bowen Foundation, NCTA – The Internet & Television Association, NAB and other organizations that are philosophically aligned with the mission of the Foundation. In addition to giving nearly $20,000 a year away in scholarships to deserving female students, the Foundation also produces nationally acclaimed recognition programs, including the Gracie Awards, a gala that honors exemplary programming created by, for and about women. 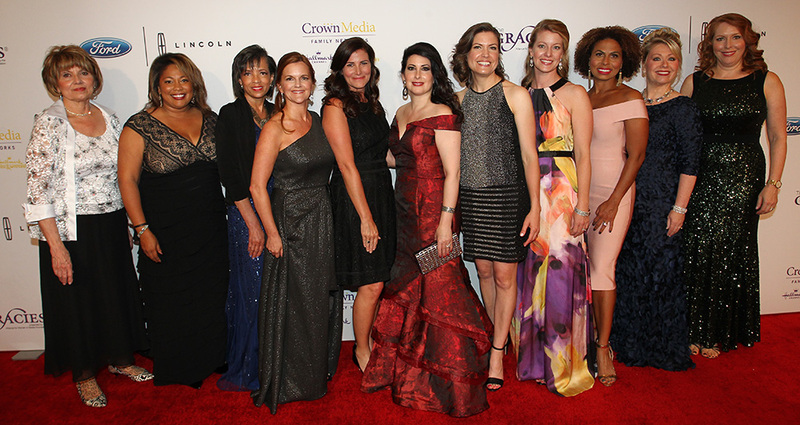 About the Gracie Awards: The Gracies, presented by the Alliance for Women in Media Foundation, recognize individual achievement and exemplary programming created by, for and about women in all facets of media and entertainment. Awards are presented at the national, local, non-commercial and student levels in radio, TV and interactive media. National Gracies winners are recognized at the Gracies Gala, June 6, 2017 at The Beverly Wilshire in Beverly Hills, Calif. while local and student winners will be recognized at the Gracies Luncheon, June 27, 2017 at Cipriani 42nd Street in NY, N.Y.